Choose Leamington Chrysler for a Personalized Purchase Experience. Jeep has been a strong competitor in the SUV market ever since its introduction. Since then, Jeep has created many wonderful SUVs, but one of its best-sellers is still undoubtedly the Jeep Cherokee. This compact SUV is perfect for managing city traffic while still giving you the option to cruise the roads less travelled with confidence. Searching for a Jeep Cherokee near Essex? Visit Leamington Chrysler today! You'll find a wide selection of Jeep Cherokees available at Leamington Chrysler. We have both brand new and previously owned models to choose from - all in great condition. We offer a low pressure atmosphere, so you can feel free to ask questions and browse. Let our sales team show you how easy and fun it can be to get behind the wheel of a Jeep Cherokee near Essex! For a better look at our Jeep Cherokee lineup, visit Leamington Chrysler located at 170 Oak Street W in Leamington, ON or you can give us a call at 519-326-9052. We look forward to serving you! To us you're more than just a number. Receive customized service based on your unique needs. Interested? Visit us near Essex today! We are a small-town dealership with fair and affordable prices. 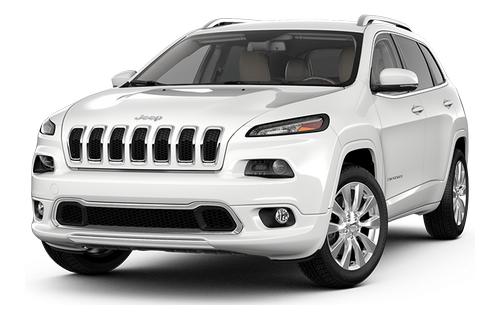 Get your Jeep Cherokee with Leamington Chrysler today! The latest Jeep Cherokee comes in many different colours and styles to choose from so you can have a ride that's tailored to you. The exterior comes in 11 available shades including Redline Pearl, True Blue Pearl, and Ultraviolet Metallic. The interior allows for just as much customization with different suede and leather materials to choose from along with optional heated seating and stitched leather. Make your Cherokee as unique as you are! A legendary SUV needs a legendary powertrain to drive it. The latest Jeep Cherokee features the award winning 3.6L Pentastar VVT V6 engine as the standard on certain models. Of course, larger engines with more power are available with the 5.8L Hemi VVT V8, 6.4L SRT V8 and the Supercharged 6.2L V8. Choose your level of get up and go, and embark on your latest adventure today! You have the option to choose from our fantastic selection of both brand new and previously owned Jeep Cherokees near Essex when you shop at Leamington Chrysler. Buying pre-owned doesn't need to be scary with our dealership as we inspect each used vehicle before it hits our sales lot. This isn't something you're guaranteed when shopping online or directly from an owner. When you choose to work with the team at Leamington Chrysler, you're getting more than a fantastic vehicle. You're getting confidence! The latest Grand Cherokee comes in the choice of three package options: the Laredo, Limited, and Trailhawk. Each trim level comes with its own set of individual upgrades including 17-inch tech silver aluminum wheels, power lift gate, UConnect 4C Nav Multimedia centre and heated leather wrapped seating - just to name a few. Looking for an SUV that's beautiful both inside and out? Check out our selection of Jeep Cherokees near Essex today!